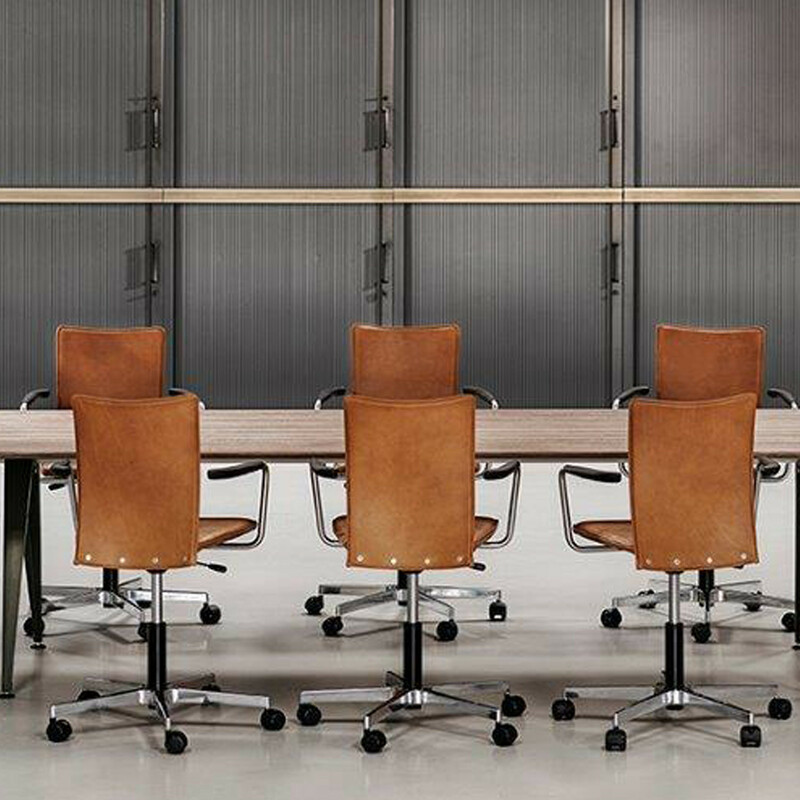 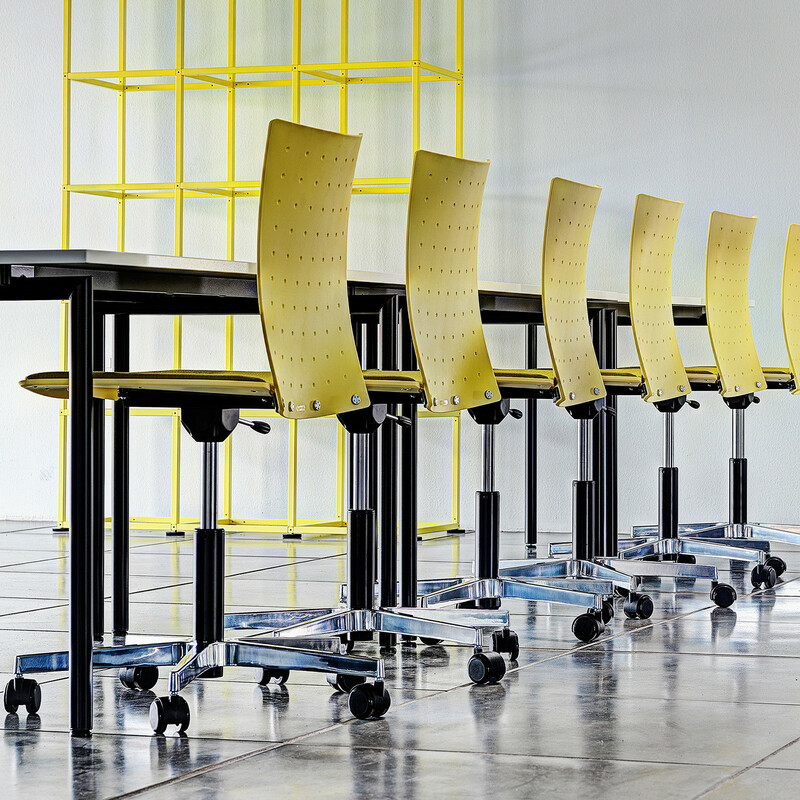 Sala E Chairs are height adjustable seating and a member of the large Sala chairs family, ideal as an office or guest chair but can also be used for meetings. 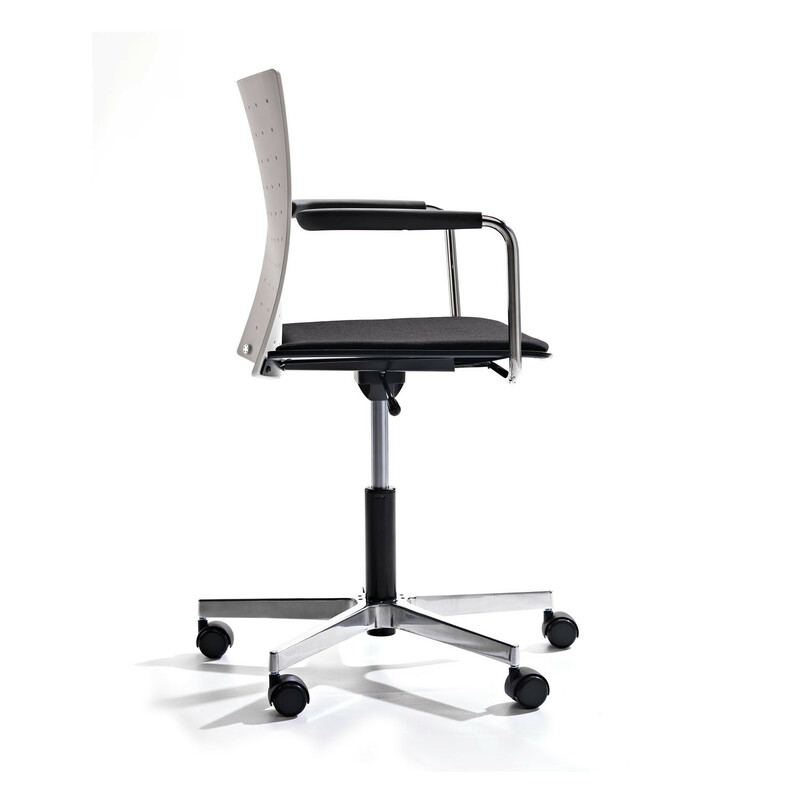 A light and elegant office swivel chair, Sala E is an ergonomic office seating solution with a comfortably beautiful curved back. 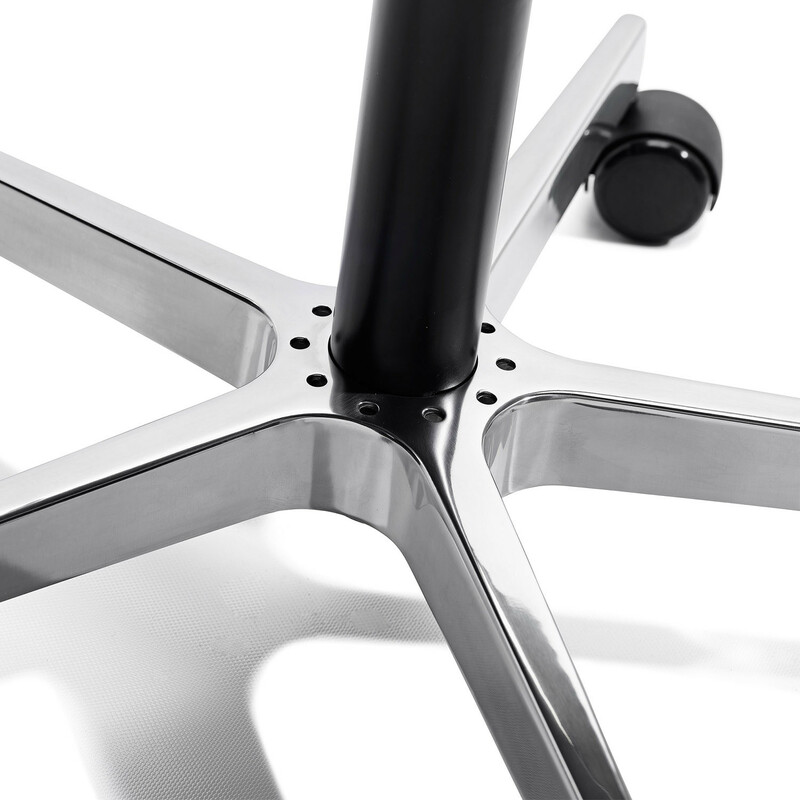 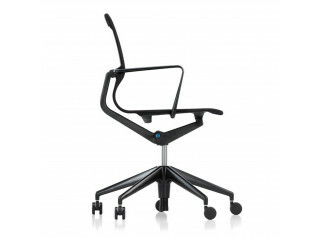 The 5-star base of Sala E Chair is in either black nylon or in aluminium and is height adjustable in 3 different ranges (black lacquered or chrome gas lift). 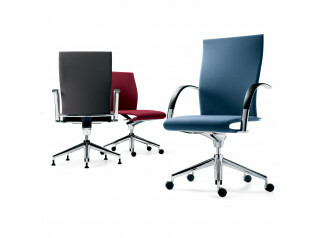 The seat and back rests are available in beech and a range of colours. 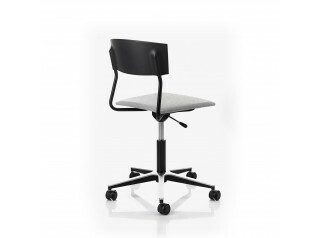 Furthermore, the seat is available in synthetic materials in black or anthracite. 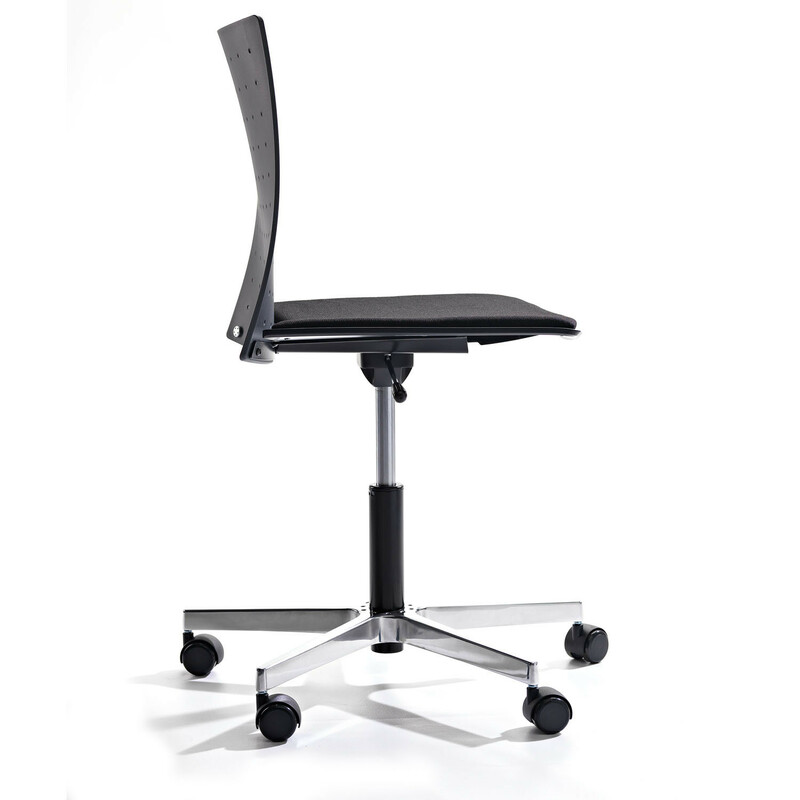 The back rest is also available in black fibreglass enforced nylon, creating an extra soft and comfortable chair. 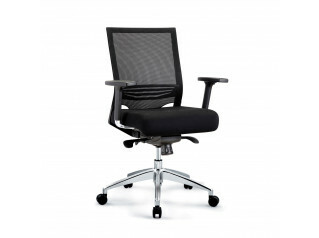 the seat and back rest can also be fully upholstered. 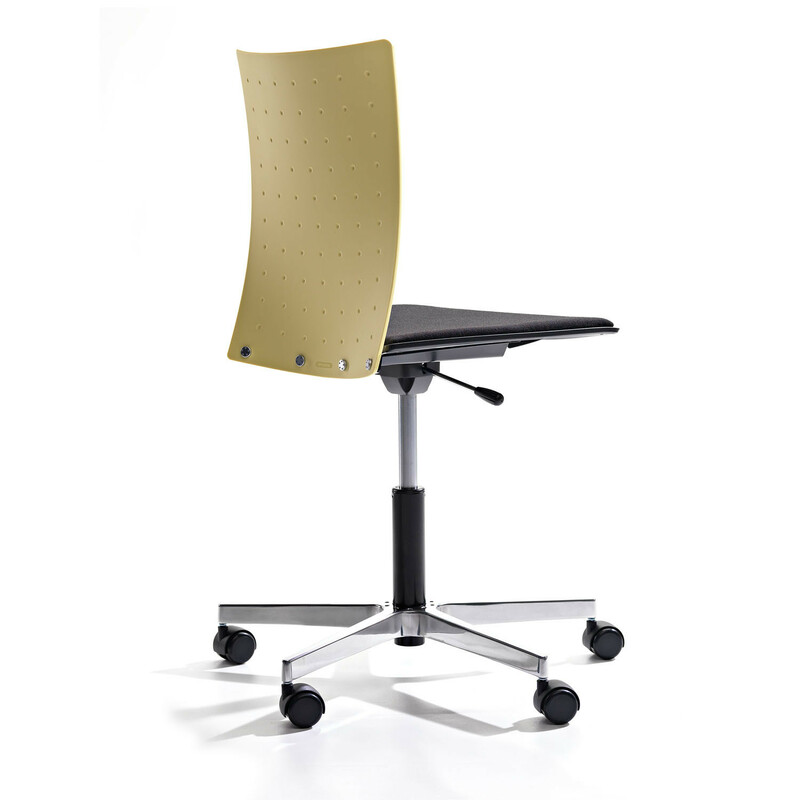 Sala E Chair with seat pad is also available. 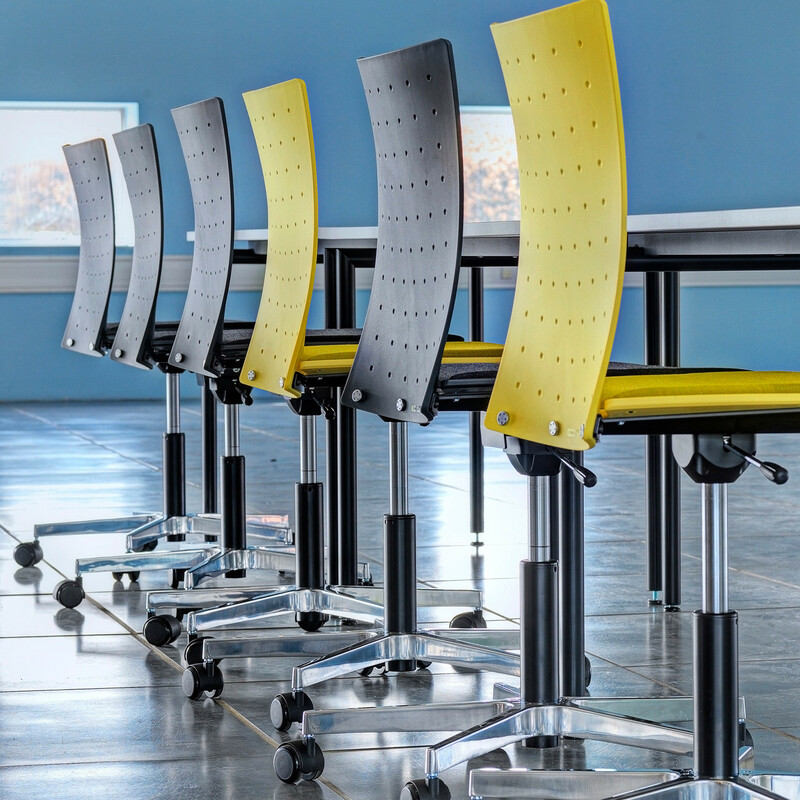 The comprehensive and varied range of materials that can be used facilitates individually customized solutions: combine plastic, wood and/or upholstery. 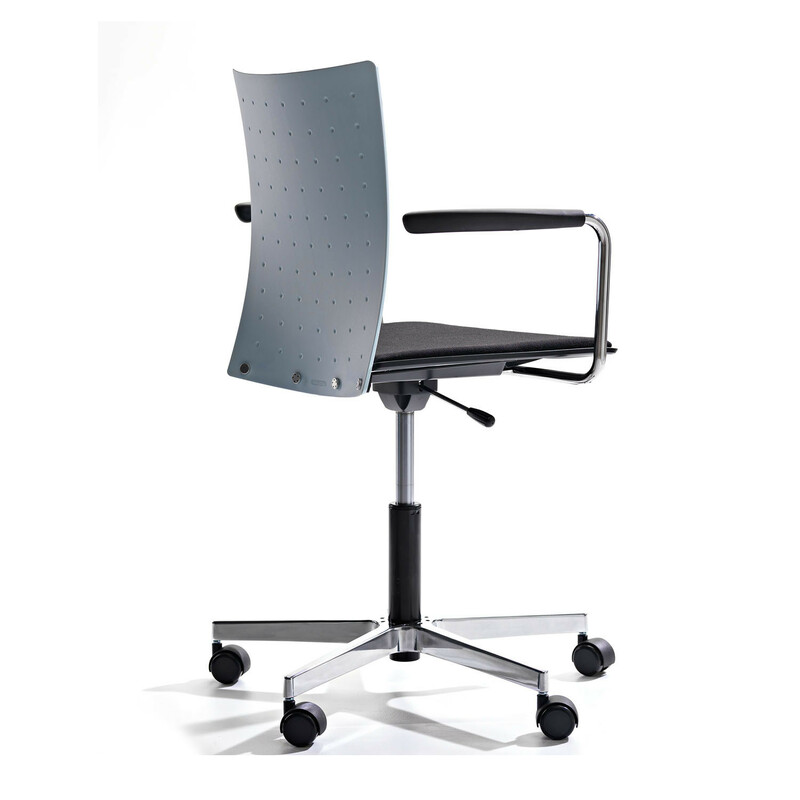 You are requesting a price for the "Sala E Chairs"
To create a new project and add "Sala E Chairs" to it please click the button below. 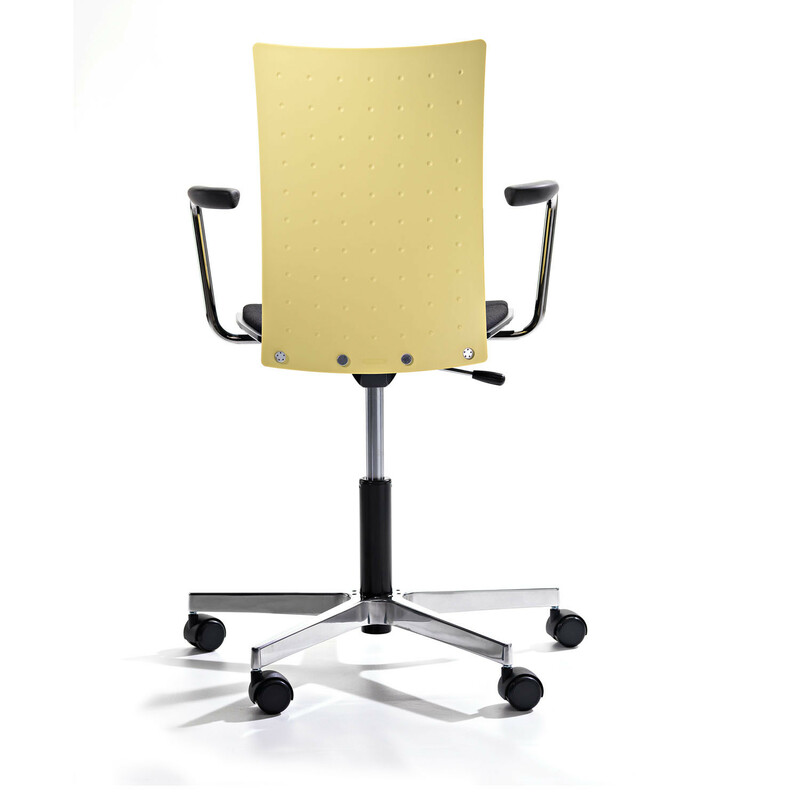 To add "Sala E Chairs" to an existing project please select below.